Fitness Savvy looked online and discovered 121 online user reviews of the V-Fit AR1 Rowing Machine. Overall, this rowing machine scored 4 out of 5. Using air to provide the resistance, the V-Fit AR1 Artemis II rowing machine features provide an opportunity for a high-intensity workout in the comfort of your own home. It features oversized, adjustable footplates, single chain drive rower and three screen (six function) monitor. If you’re looking for the V Fit AR1 Artemis 2 rowing machine best price, then you’re in the right place. This product appears to be available from Argos, Amazon and SweatBand. Prices fluctuate regularly, so you should check back with Fitness Savvy before you buy. To help you save more, we’ve added discount codes and vouchers which might be applicable to the V-Fit AR1 Artemis Air rowing machine. 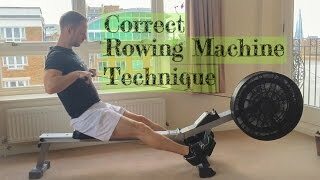 In case you’ve lost your copy, or want to check it out before you buy, here is a link to the V-Fit AR1 Artemis II Air rowing machine manual PDF. It includes the assembly guide, parts list and general set up instructions.